Smoggy Shanghai, originally uploaded by Brin d’Acier. I was in Shanghai for two weeks, working. I managed to do a few sketches. 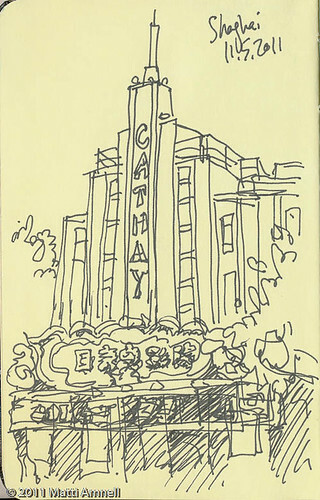 Sketched from the Bund on my first day. The Jetsons-looking tower is the Pearl of the Orient Radio Tower. 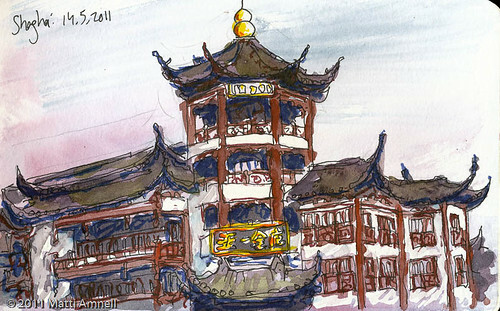 This entry was posted in Sketch of the day, Sketchbook, travel journal and tagged architecture, China, city, ink, landscape, Shanghai, travel journal, watercolour. Bookmark the permalink. I like the smoggy shanghai. muted tones and straight lines give a realistic feel. the city i think is a good functional clash of the old and futuristic. nice sketches. 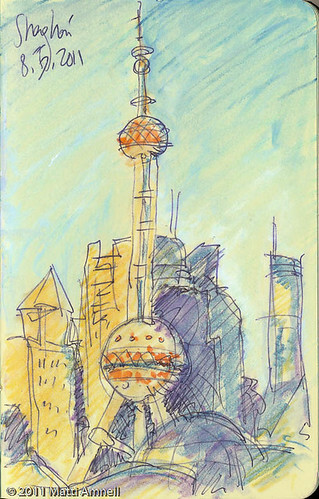 where were you when you sketched smoggy shanghai? I love the chaotic mixture of old and new, of sterile/artificial and natural/ramshackle in big Asian cities. Sometimes it’s just like the future were piled up on the past. 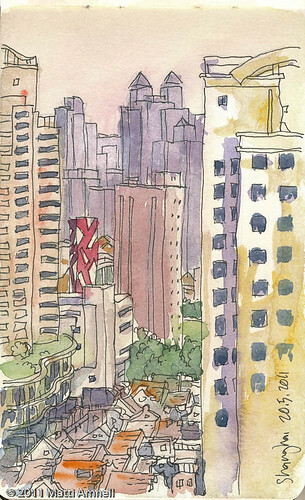 I did the smoggy sketch from my hotel room window in the morning before leaving for work.